Before starting the computer plan, think about the developmental age of the students and how adept they are at using a computer. In this day and age, students come to school at all different levels of computer literacy. Some can type, others cannot; some can navigate and still others cannot. This is especially true if you work in a district with different socioeconomic or religious backgrounds (some parents may not allow their child to use the home computer and other parents cannot afford a home computer.) Most districts require that parents sign a form that gives permission for their minor to use the Internet. All of this must be factored in before you send them to the PCs. Ultimately, creating your schedule and managing it will depend on the number of computers you have in the classroom. Hard to believe but even in this technologically advanced society, there are still many classrooms in America with only one or two computers, which puts the children and the teacher at a great disadvantage. If this is you, contact the government website, Computers for Learning. Even with limited computers, the schedule can still be created, but it will mean less time for the kids to practice. After you have made these considerations, use the tips below to get started on scheduling computer time. If only! Although that is the way kids would like it, in all seriousness, you don’t want to let that happen. Place students in a group of mixed ability. They help each other and collaborate. Students of higher ability can assist a student of lower ability. Decide whether you can have computer time once or twice a day. Twice a day is preferred. Give blocks of time of at least fifteen minutes each during bellwork, after snack time or during center time where students do not missing direct instruction. Post the computer programs or websites that they can use for the day. Teachers with older students can post their assignments. I set a limit of one or two websites or programs for the younger students because they tend to navigate back and forth between games, lose focus, and ultimately, computer time. Students should only be able to independently use the computer when they can independently use the keyboard (use these games) and navigate with the mouse by double clicking. 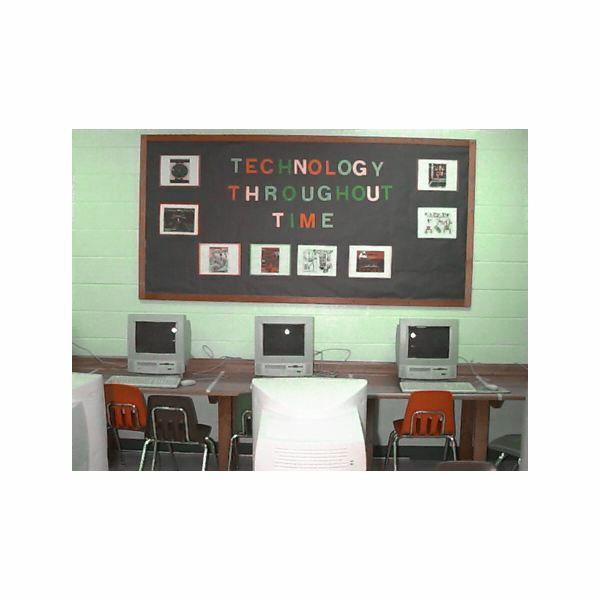 Have a computer helper, whose job is to dust the computers, check to see that the equipment is properly maintained, and help a student to navigate if they are stuck. A word about printing: Be very clear to students what your expectations are regarding printing. I wanted the students to take home a book or two, but my limit was no more than two. Especially young students, without limits will print every page! Do not use computer time as a reward or punishment. Just as you wouldn’t tell a child that they could not read their books, because they were disruptive in the hallway, you do not want to take away this important part of the curriculum from them. Find another consequence for the misbehavior. You just might find that the disruptive student may become more focused when he or she has some down time on the computer. If possible, schedule the time to coordinate when the Teacher Assistant is with you in case there is a technical glitch that the helper cannot solve. You don’t want to be working with other students and have to keep stopping to fix it. These tips on setting up computer time were created from many years of getting it wrong! Mostly, I hope they will help you to set up your new classroom as you have plenty of other things to consider. In this series we look at the benefits of using computers to students, managing computer time, using the computer in the morning message, and share some good computer websites for primary students.